If you’re spoilt for choice on where to head to this upcoming Chinese New Year for your family reunion dinner, we’ve got you covered. Here are the top Chinese restaurants in Klang Valley with festive reunion dinner sets worth splurging on. Extra Super Tanker has been around since 2004 and specialises in Cantonese-Hakka cuisine. 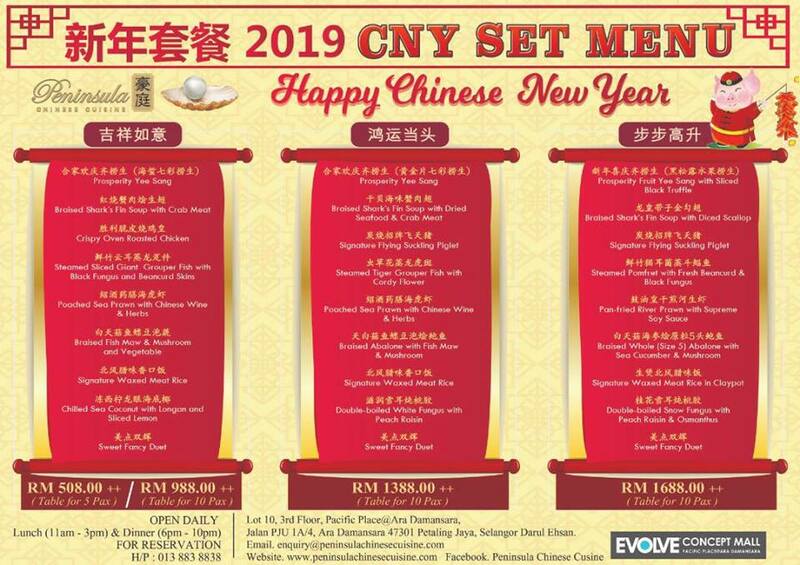 For Chinese New Year, the restaurant will be introducing several different reunion dinner sets, priced between RM1,088-RM3,188. 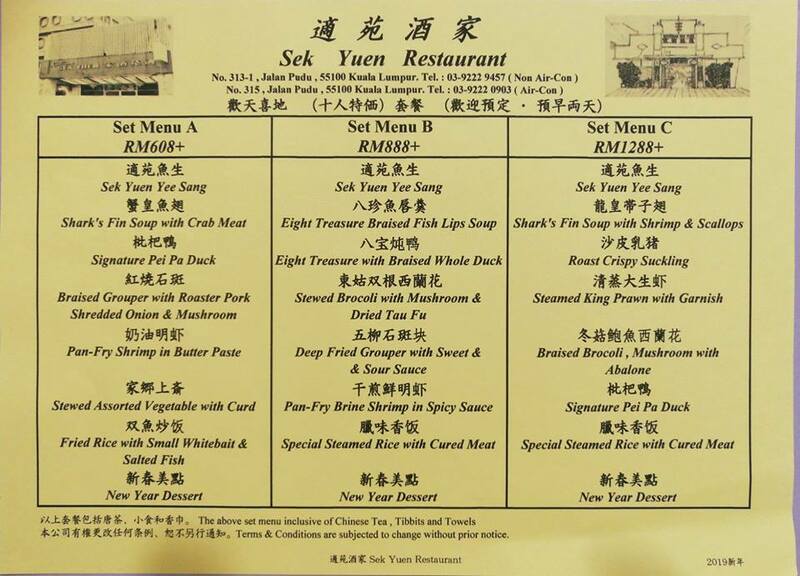 Restaurant Sek Yuen is a rustic Chinese restaurant which has more of a hipster vibe as compared to a traditional Chinese restaurant. 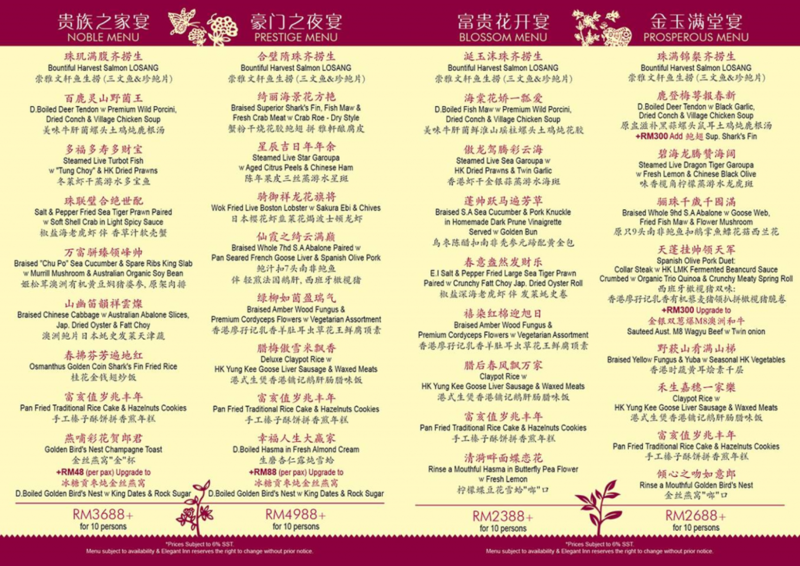 For Chinese New Year, the restaurant will be having 3 different sets, priced at RM608, RM888 and RM1,288. Oversea Restaurant is an award-winning restaurant with multiple branches across Klang Valley. 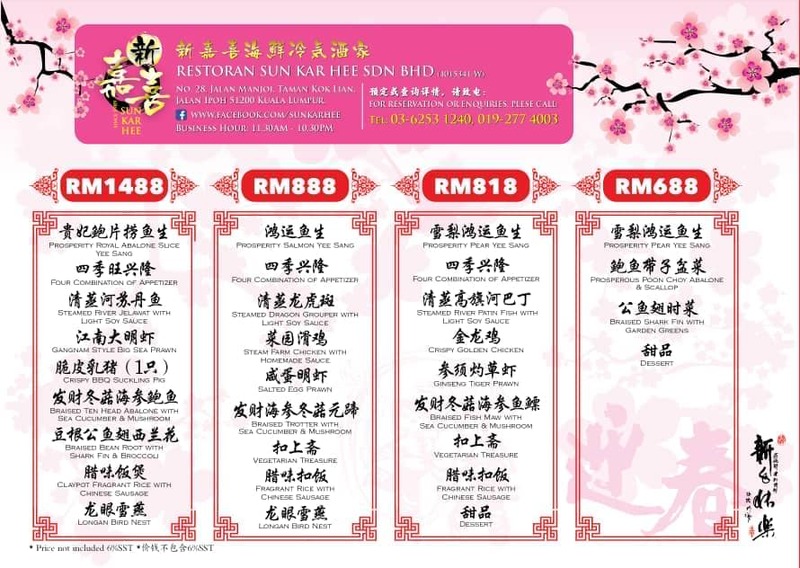 For Chinese New Year, the restaurant will be having reunion dinner sets at 3 of their outlets: Genting SkyPlaza, BBSP and Imbi. The sets are priced between RM828-RM1,988. 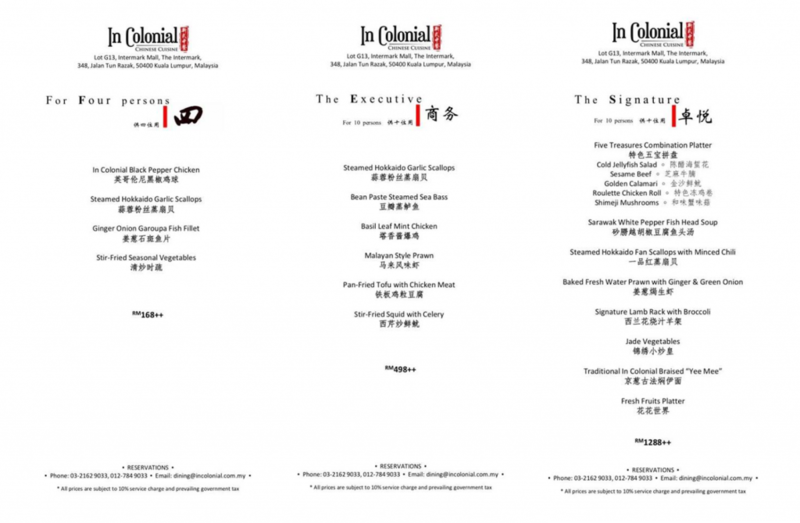 As its names suggests, Elegant Inn HK Cuisine specialises in Cantonese cuisine. 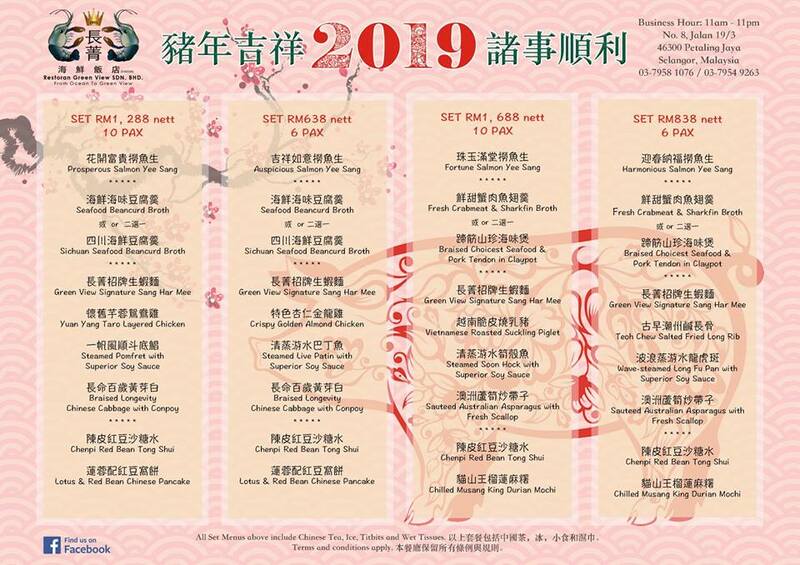 For Chinese New Year, be on the lookout for Elegant Inn’s 6 dinner set menus: the Happy Menu (RM1,588), Spring Menu (RM1,888), Noble Menu (RM3,688), Prestige Menu (RM4,988), Blossom Menu (RM2,388) and Prosperous Menu (RM2,688). Known for their seafood dishes, Sun Kar Hee has vegetarian dish options for their CNY Reunion Dinner menu, perfect for those who are adopting a vegetarian diet. 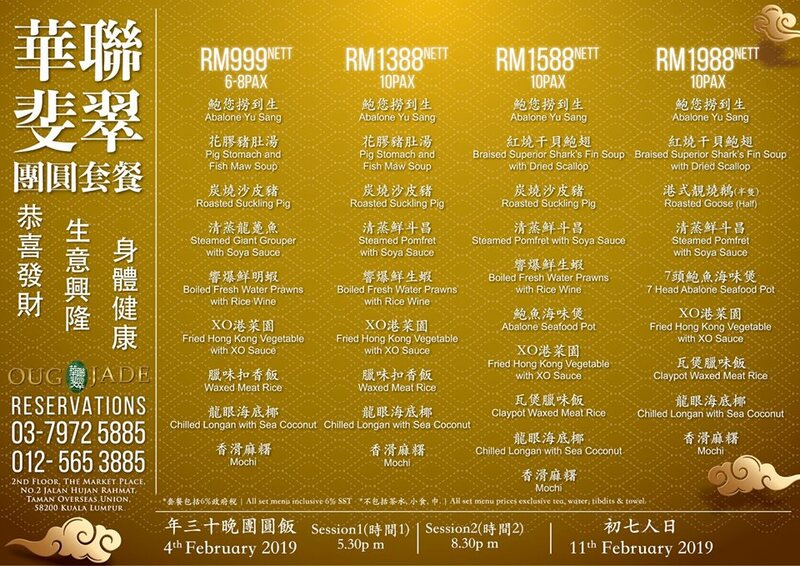 Reunion dinner sets are priced between RM688-RM1,488, which is rather affordable considering the quality of the dishes that you’ll be getting. Puchong’s Harmony Banquet is suited for those who are opting for a reunion lunch instead of a dinner. However, they do have both options as well. Reunion dinner sets are priced between RM568-RM1,388. 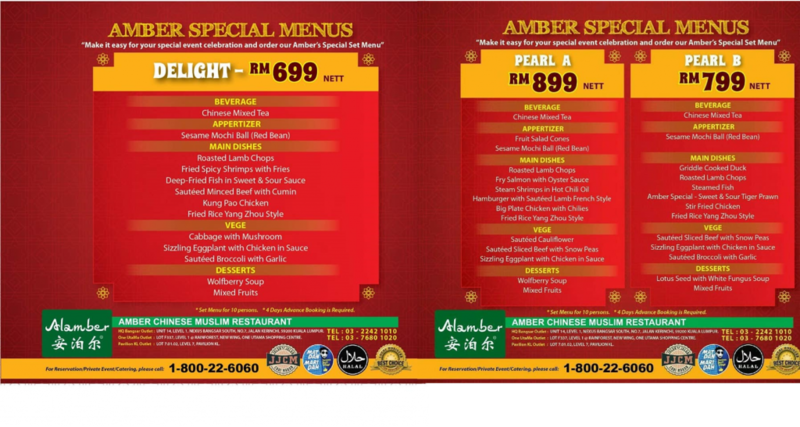 For those looking for a halal Chinese restaurant to dine at this festive season, Amber Chinese Muslim restaurant is an ideal choice. Famous among the Chinese-Muslim community, the dishes lean more towards an Asian-Western fusion style. Restaurant Green View has been around for the past 26 years and they’re mostly known for their Sang Har Mee. Most PJ residents would be familiar with the iconic restaurant located opposite the Lisa De Inn hotel. 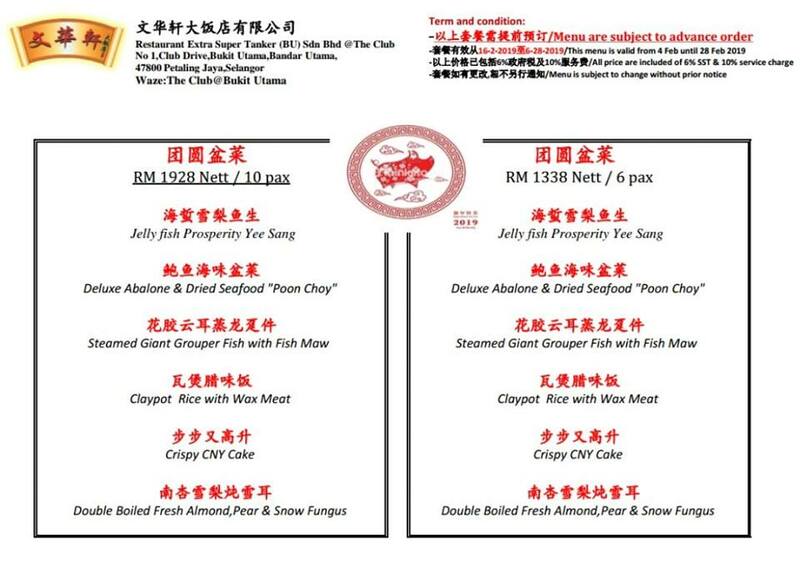 CNY Reunion Dinner sets are priced between RM838 and RM1,688. What makes In Colonial Restaurant unique is the fact that they only serve halal-sourced dishes. 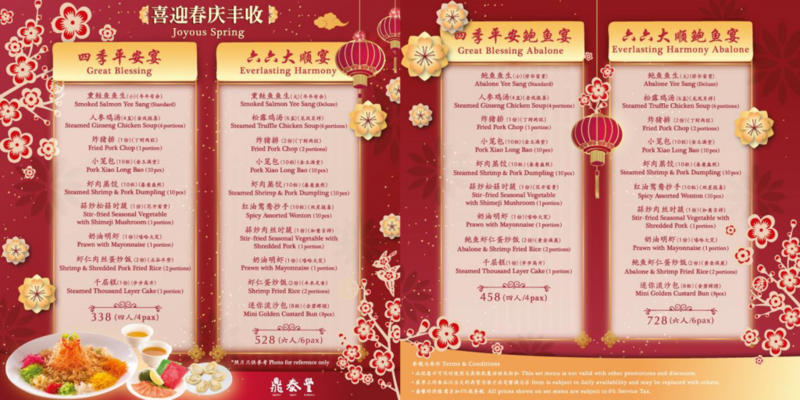 For Chinese New Year, they will be serving up Asian-Western fusion sets priced between RM168-RM1,288. 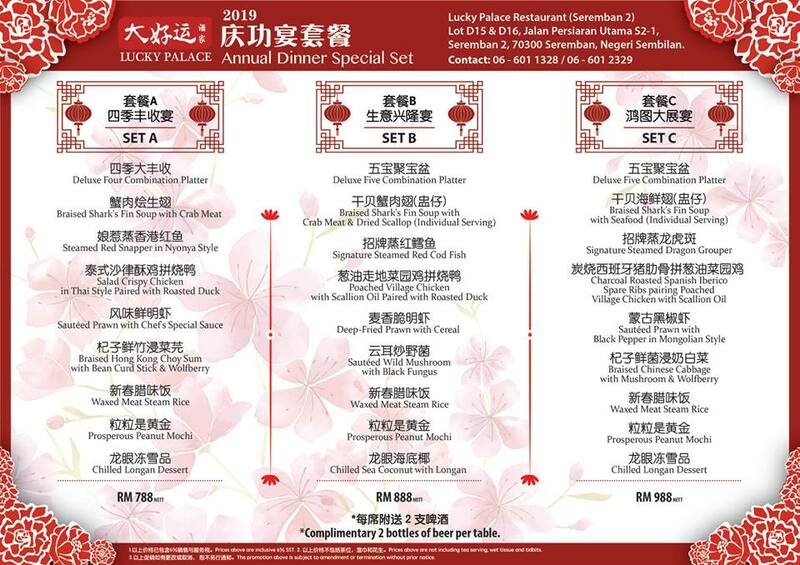 Moon Palace Group will be serving up 9-course set meals for their Chinese New Year annual dinner package. Priced at RM788, RM888 and RM988, all sets will receive complimentary 2 bottles of beer per table. Peninsula Chinese Cuisine specialises in Cantonese cuisine and dim sums. 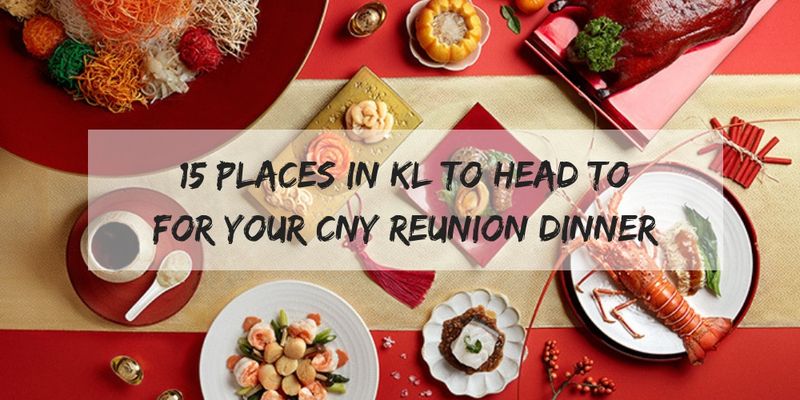 There are 3 CNY Reunion Dinner set options to choose from and they are priced between RM508-RM1,688. 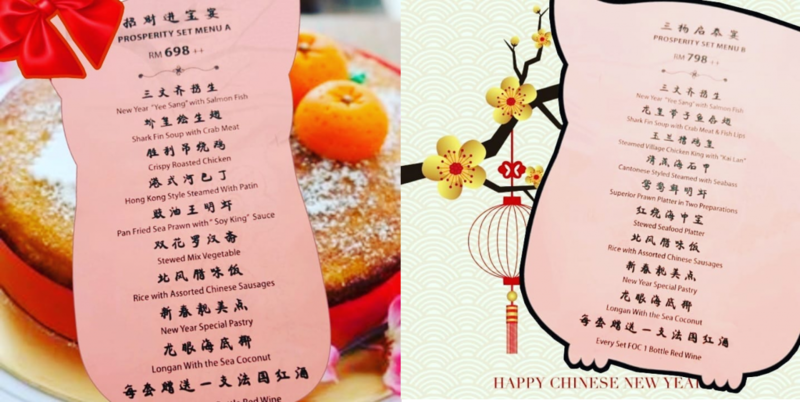 This fancy Chinese restaurant is suited for more elaborate events like weddings and company annual dinners but if you’re looking to take your Chinese New Year reunion dinner up a notch, Sin Choi Wah might be the ideal choice for you. Sets are priced at RM928, RM1,088 and RM1,538. 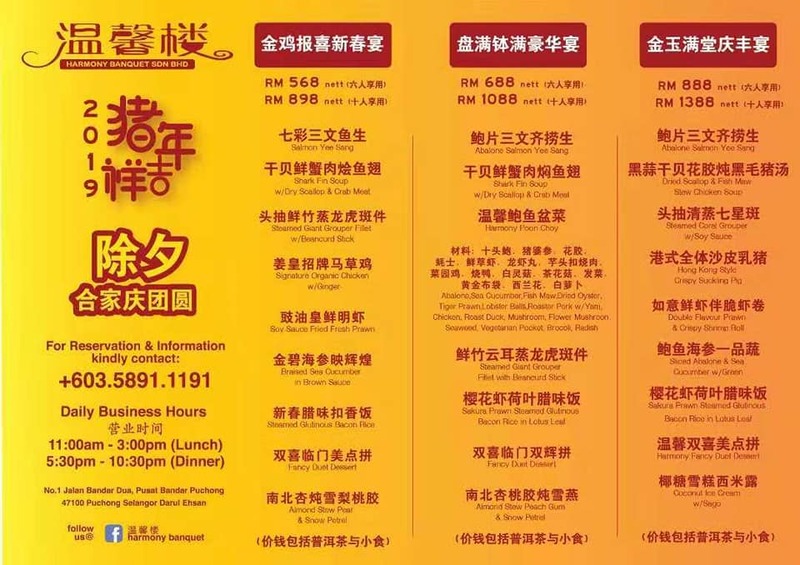 For those who are looking to have an early reunion dinner this year, OUG Jade Restaurant offers 2 dinner sessions: one at 5.30pm and the other at 8.30pm. Why not beat the jam and head for the earlier session instead? Reunion dinner sets are priced between RM999-RM1,988. This PJ State restaurant has a pretty simple Chinese restaurant setting and has been around for more than a decade. 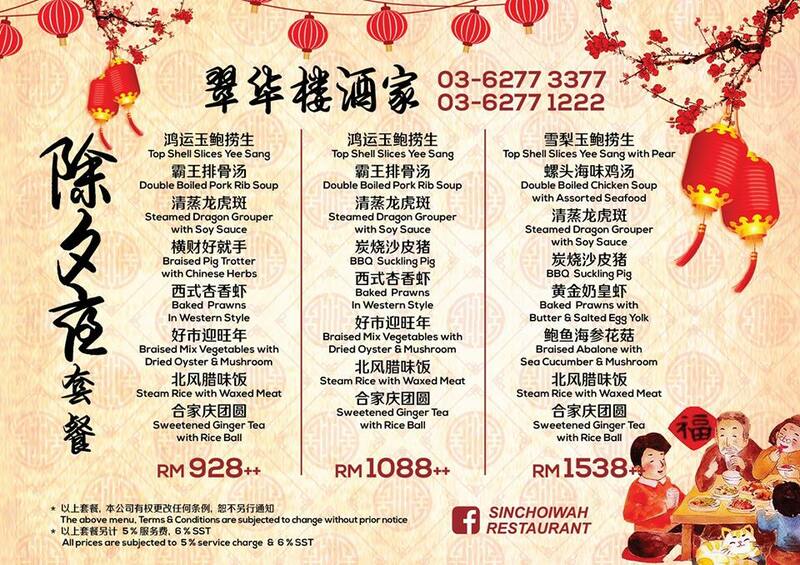 For Chinese New Year, Reunion Dinner sets are priced between RM598-RM1,688. Din Tai Fung is an obvious bet for those looking for a mid-range Chinese restaurant to head to for their Chinese New Year celebration. Known for their xiao long baos, one not to miss out on is the iconic pork xiao long baos. There are 4 different sets to choose from this festive season and they are priced between RM338-RM728.